There are many popular delicious fruits around the globe. Passion fruit, though not known to everybody in the world, is considered quite special in those countries where it is grown. Passion fruit has gained a specialty in the fruit world with combinations of one of a kind taste, color, and uses. Every fruit is found to give enormous health benefits, and almost no fruit is ever noticed for causing a side effect upon regular consumption. Passion fruit is all safe in that regard. Moreover, the benefits of passion fruit fall into versatile categories which you are going to explore now. Grab ’em and experience the joy! Nutritional understanding gives the best idea of how food is useful for health. Our approach for grasping passion fruit benefits becomes easier by knowing the nutritional content of it. Health benefits of passion fruit majorly depend on antioxidants and its minerals. Iron, Potassium, Calcium, Magnesium, Phosphorous, and Copper are the major minerals in passion fruit. These minerals bring in many indirect health benefits of passion fruit. The general purpose of minerals in the human body is to maintain the cell strength and enable the body to fight with foreign bodies. Also, any damage and ailment can be potentially defended with ample mineral storage in the body. Passion fruit nutrition has abundant mineral content in it to fulfill the requirement. Passion fruit is mainly known for its antioxidant strength. Antioxidants have an extremely important effect on our body. They protect us from oxidative stress on body cells, free radical activity, and inflammation too. Also, similar antioxidant benefits of passion fruit provided by its rich carotenoids and vitamin C.
Antioxidants in passion fruit are widely helpful in promoting health. They can enhance your immune strength by fighting free radicals. Same way, it can improve the elasticity of your skin, cleanse your digestive tract, strengthen your hair and scalp, etc. Grab a fresh passion fruit to reap its benefits to the fullest. Passion fruit contains many types of carotenoids, viz. alpha, and beta-carotenes, lycopene, etc. All the carotenoids aid in producing Vitamin A. Eating the seeds of passion fruit is also useful for gaining vitamins, particularly Vitamin A. Also, as these are fat-soluble nutrients, we can have them in plentiful amounts, which means the absorption of vitamins becomes easier. Vitamin C is also abundant in passion fruit. There is no need of introduction on how important is Vitamin C to keep our immune system and metabolism active. Many infections, inflammations are prevented efficiently with sufficient vitamin C in the body. As vitamin C is water soluble, there are high chances that it may get lost from the body. Passion fruit benefits us in this regard perfectly. Have passion fruits at home always, grab one whenever you feel like exhausted. Passion fruit has fiber content about half of the daily recommended value. 100 grams of fruit contains 10 grams of fiber. Passion fruit is merely unmatchable with any fruit nutrition for its fiber content. And the best part is the fibers in passion fruit are soluble dietary fibers. Dietary fibers are good for healthy digestion and blood sugar control. They can help in controlling obesity, diabetes, and also good for heart’s health. Try not to avoid seeds of passion fruit as they contain enormous fibers. Although juices give entire benefits that are aided by fruit, seeds make a unique impact from nutrition side. Eating protein rich foods activates metabolism a lot. Proteins take a giant part in nutrition. Role of passion fruit juice benefits in this regard are unique. Seeds contribute to many nutritional benefits of passion fruit. Not just the fibers, protein is also in good amounts. But without seeds, you must at least have the pulp. Without both of them, protein and fibers are almost lost. Body cells overexposed to oxygen get damaged, and they also affect other organs. This is called free radical activity. The body then undergoes inflammation, which physically means painful joints, general weakness, redness in eyes, dried skin, and much more. Passion fruit leaves contain tannins and flavonoids, which give a high-antioxidant treatment. Both methanolic and aqueous leaf extracts promote best anti-inflammatory benefits of passion fruit without many side-effects. Cancer prevention is one of the promising passion fruit juice benefits. 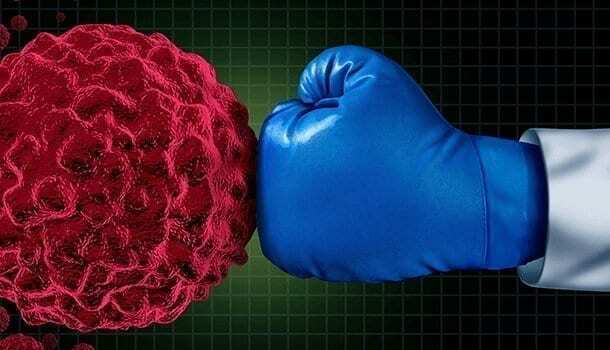 Anti-inflammatory agents like carotenoids and polyphenols give excellent anti-cancerous treatment. Yellow passion fruit is known to have more ingredients for cancer treatment. Oral cancer, lung cancer are effectively prevented by consuming passion fruit or its juice. Special mention for passion fruit benefits is that it generates an enzyme called caspase-3, which can destroy the cancer cells by apoptosis. Apoptosis means programmed cell death. Blood is the primary element of the body. Whatever we eat turns into blood before getting supplied to every organ of our body. In a sense, blood health could be mentioned as a nutritional characteristic. But there are several other factors which affect the blood, viz. sugar levels, blood pressure, purity of the blood, count of blood cells, etc. 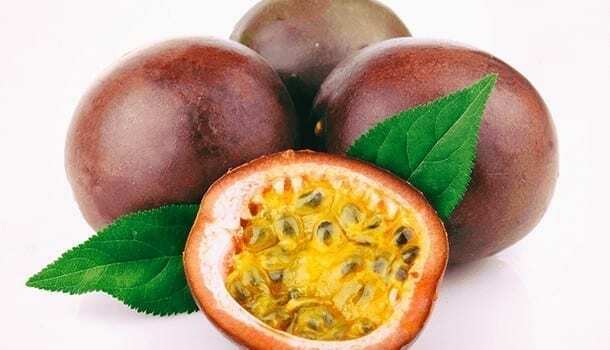 Potassium is abundant in passion fruit. It is the responsible element for the healthy maintenance of blood pressure and circulation. It relieves tension in blood cells and veins and eases the blood flow. Thus, heart rate comes down to moderate levels, and heart functioning becomes efficient. Benefits of passion fruit with its minerals gets a high importance with these examples that blood circulation has its complete dependence on potassium. Passion fruit nutrition again shows its strength in benefiting the digestive health. Digestion system works potentially by fibers in passion fruit. Healthy digestion of food avoids constipation with regular bowel movements. Fibers also clear the excess fat storages and gastrointestinal conditions. 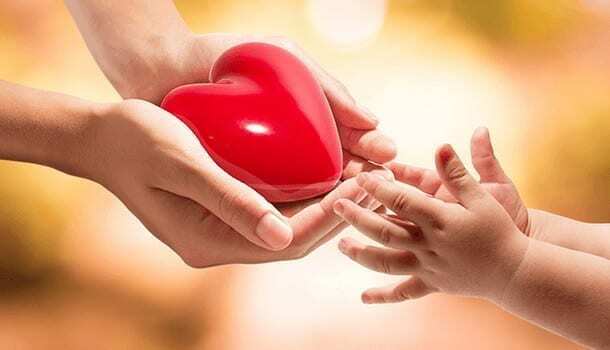 Heart protection involves many factors. Fat control, blood health, blood pressure, respiratory system, and much more. 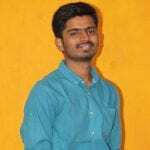 Benefits of passion fruit cover almost all of them. The least fat count is the indication of cholesterol control. Rich fibers are the best indication of the healthy digestive tract and reduced insulin resistance. Regulated blood circulation by potassium enables the heart to function well. With the potent minerals and antioxidants, arteries in heart get cleansed. Thus, strokes are completely avoided. Immunity of one’s body gets improved by the immense vitamins and antioxidants of passion fruit. It is majorly contributed by vitamins A, C, carotenoids, and cryptoxanthin. Not just the elimination of risk but entire defense system gets activated by vitamin C’s activity. It can also prevent cancers in this way. Control over cold and flu are just additional benefits of passion fruit nutrition. But there is a potential treatment by passion fruit for any minor ailment. Eye health and skin health are profoundly affected by our regular food habits. 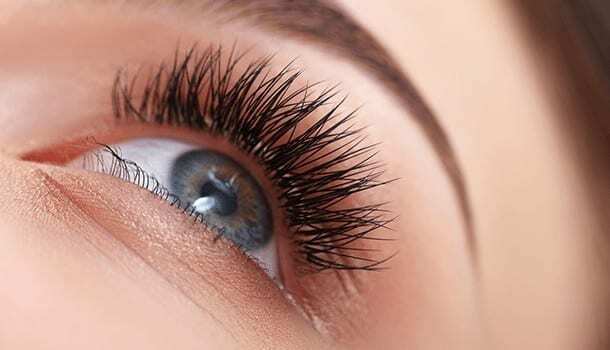 As for vitamins, A and C are known to avoid any deficiency in nutrients required for eyes, and also as we are aware of the rich vitamin content of passion fruit, it is no way a harder task to protect our eyes from early age visionary problems and nervous weaknesses in eyes. So many other fruits and vegetables are known for improving eyesight. Include as many foods as you wish in your diet so that any nutrition deficiency or immune system weakness can be compensated at early stages of the problem. Many of the health benefits of passion fruit are due to its strong mineral content. Bones are in the first place to ask for minerals, which are plentiful in passion fruit nutrition. Calcium, copper, magnesium, iron, phosphorous are major needs for bone strength. Bone health doesn’t just involve nourishment and strengthening, but we also need to increase immune strength and ability to cure damages on the bone matter by itself. This means bone and its matter should be able to medicate itself without any need of additional medicine. Inflammation of bones due to free radical activity is another serious problem. This can be cured with sufficient vitamins in passion fruit. Hair also needs proper nourishment to be healthy. Scalp needs to get good oxygen and circulation of blood. Just cleansing the scalp every day may not be sufficient for this. The vitamins A, B, and C, and minerals like potassium, and copper give excellent support for healthy scalp and hair growth. Have a glass of passion fruit juice every day to combat any hair problem. Anemia is a condition of lacking blood levels in the body. With lesser hemoglobin, blood cannot be produced in high amounts. Improper blood circulation due to lack of hemoglobin also leads to inadequate blood regeneration. When hemoglobin levels go down, blood levels automatically start dropping down. There are some physical symptoms of low hemoglobin, viz. drowsiness, unusual tiredness, etc. The rich iron content in passion fruit benefits this scenario a lot. Include detoxifying drinks and foods for quick relief from anemia. 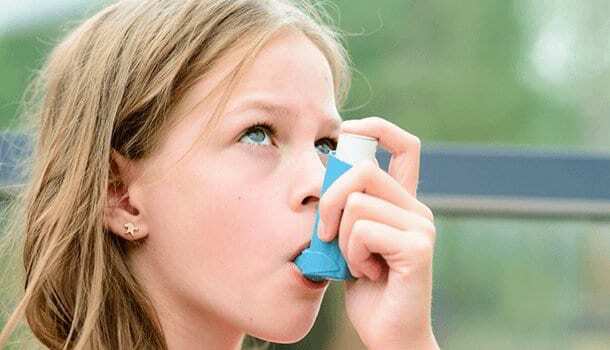 Asthma needs antioxidant, anti-allergic treatments for its cure. Purple passion fruit health benefits are known for antioxidant properties. Vitamin C, the reason for antioxidant strength, is helpful in blocking histamine’s release from the cells. Histamine is known for causing inflammatory and allergic reactions, also sometimes asthma. The peel from the passion fruit can also relieve asthma, not to eat it but there are specific ways to use it. It is highly sedative and soothing while treating respiratory problems. Cough and cold are greatly cured by passion fruit. Skin is the primary organ that is affected when we face deficiency in nutrients. It is because the skin is the brain’s first choice to avoid nourishment when required. With healthy nutrients, we can regenerate new skin and cure inflammatory reaction on the skin. Passion fruit benefits for skin seem to be ordinary, but the impact of their activity can last longer to cure severe problems expected in future. Aging and lost elasticity of the skin, eye bags, are few of those future problems. How good it may be in improving heart’s health, passion fruit benefits do not stand out for reducing blood sugars except with the rich fiber content. The sugars carried by passion fruit give too many calories. It is clearly dangerous for diabetic people. Otherwise, for other people, dietary fibers will show their effect in clearing the limited fats. Latex in passion fruit may be allergic to some people just like the aloe vera shows the same effect with its latex. Is the skin of the passion fruit is mistakenly eaten, it may show adverse chemical reactions on the body with cyanogenic glycosides, which is highly poisonous. Do not try any drugs or sedatives for anxiety and depression cure when you are on a diet including passion fruits. It is because the dosage may cross the limit with passion fruit’s sedative properties. Be on good diets and medication prescribed by a doctor if you are treated for particular health problems. We are highly prone to misbalances in nutrition if medication doesn’t fall in the right place.